Whenever you are invited to attend a friend’s wedding, you sometimes feel like you don’t want to come because you don’t want to sink in a crowd full of women in their high heels and men who are tall and sharp in their formal wear. This is a common problem for short men all over the world face. But we become guilty of missing the said formal event because we can’t put together our insecurities aside to be happy for our friend’s special day. Did you know that there are high heel formal shoes for men that can aid your short guy problems? Yes, being short can be a conundrum in itself that their problems are valid. Tall people have lives easier for them – studies show that they are inclined to live a happier life and be rich than those who did not grow up gifted with height. Luckily for you, height extenders for shoes is a real thing and all you have to do is know the benefits you get from it as well as the style you will showcase once you decide to attend your friend’s wedding. How to increase height by 4-inches? The average height of a man in the United States is 5’9.5”. If you do not belong in that cluster, you will then ask yourself how do I reach that height or, in some instances, go beyond what is considered average? If you are wondering how to get taller, men can add additional 4-inches in their height by using elevator shoes. They are carefully designed to cater to every short man’s need, no matter how high you want to get. The additional lifts range from 2-inches up to 5-inches or more. Elevator shoes are designed to provide additional height hidden in the insoles. Furthermore, there’s a variety of style available in the current market of elevator shoes that is appropriate for most occasions, such as weddings and corporate events. 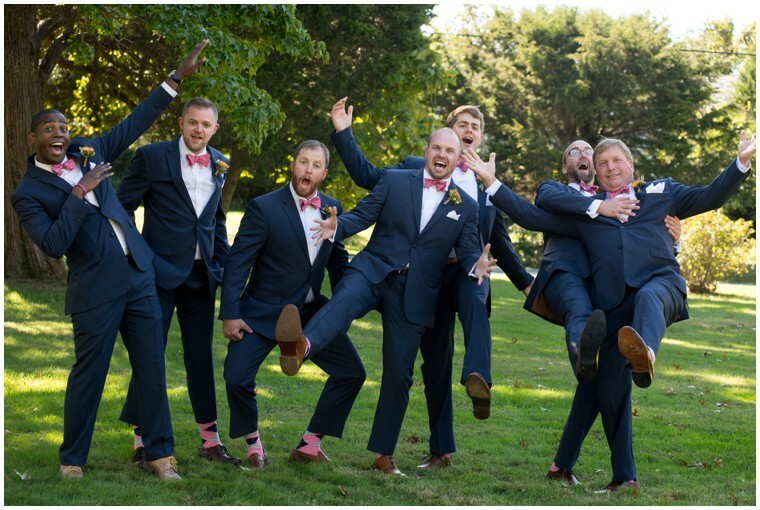 If you are looking for those tall wedding shoes, you now have the option to choose between oxfords, wingtips, loafers, moccasins, and other quality leather goods without compromising your personal style, and more importantly the additional height you are opting for. How fashion makes a difference? Attending any event can be attainable without worrying about looking short in front of your peers since there are men’s dress shoes with thick soles that will boost your length to imaginable scenarios. However, we should keep our aspirations reasonable because these elevator shoes, as great as they are, can only do so much. 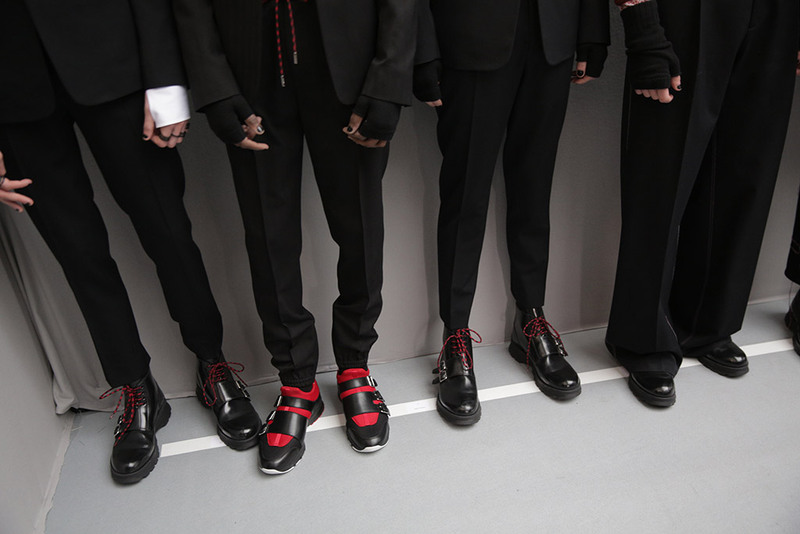 Still, being taller regardless of your actual height can be perfected with the proper footwear with the combination of killer suiting. In every wedding, women generally have the chance to gamble of different silhouettes to look dashing and glamorous, while men, more often than not, are limited to a certain type of dressing: to look sharp in a well-tailored three-piece suit. But did you that there is a proper way of dressing to make you look tall? Men sometimes overlook the value of a power suit. Dressing up for events is not just a trouble for the ladies who take weeks of shopping trips just to find one dress. Nowadays, more a more metro than ever before, without stabbing their machismo façade. It is important for every human being in this world to dress a certain way to feel more respected. Shopping does not equate to femininity and most definitely not being mindful of your physical appearance is a sign of laziness, a trait that is not attractive. 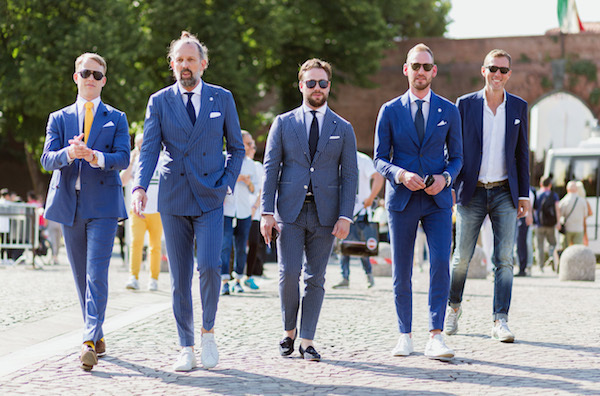 Shorter men have a harder time looking for the suit that will fit them. More often than not, they result in being frustrated because they cannot find the right ensemble without going to their tailors and have something fixed. This is utterly wrong. When dressing for formal wear, changes are inevitable and your tailor is your best friend. Not everyone is done with just one fitting, especially for formal occasions. Even haute couture, in its exclusivity, is required to at least have two fittings before it can be considered haute couture. The French have a specific standard of how people dress, and this is something you should always consider when looking for that power suit, it requires attention to details and endless fitting before you are completely satisfied. If you are not gifted with height, have your tailor adjust your coat on the upper hip and ask him to focus on having more leg space in your suit. Because showing more legs, means the taller you will look. Furthermore, avoid wearing unnecessary accessories that bulk your outfit and stick to what’s important: a slim tie, slim shoes, and well-tapered trousers. If the length of the pants is long for your legs, have them tailored for your height and remember that even tall men have the same problems. Generally, ready-to-wear formals release pants with unfinished hem with long length to accommodate different sizes. This is a common practice among brands that sells formal suits. Moreover, ensure you wear the right color to help lean your frame. Go for dark colors than light ones because they tend to hide unnecessary details that you do not want to be seen. While it is evident that tall men attend formal events with less effort to look good, it does not excuse short men to be on par even at a height disadvantage. Lastly, you can now enjoy the next wedding you are invited to with slimmer silhouettes.